Q: How are the balance sheet, income statement, statement of owner's equity and statement of cash flow useful for investors? 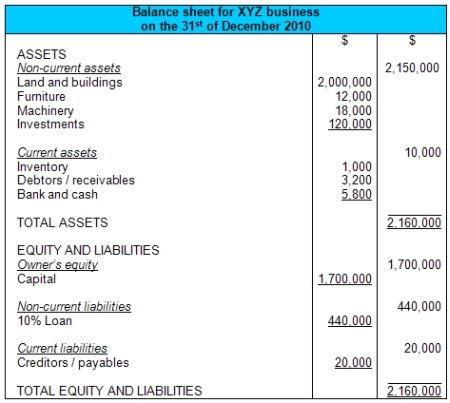 The balance sheet is useful in that an investor can see how "big" the organization is by looking at the total value of its assets, and can also see how the business is funded - how much is owner funding ("capital" or "investment") and how much is funded through loans and other liabilities. This balance of owner's equity vs liabilities gives an idea of how risky this business is. The balance sheet also provides other useful information such as the value of inventories, the value of credit owed to the business (debtors) and the value of short-term debts to others (creditors). 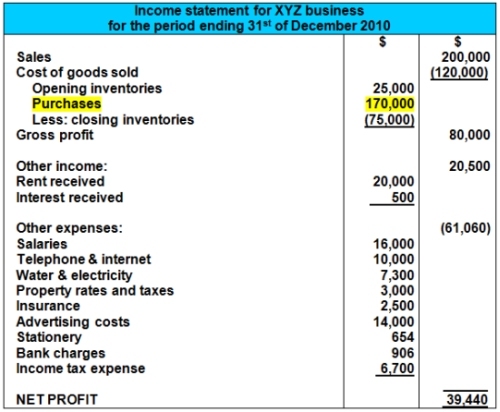 The income statement shows an investor the profit/earnings, the sales, the cost of the goods sold, other income and a breakdown of major expenses for the business. The income statement, also known as the profit and loss, shows how well the business performed during the year - how much profit was made. The statement of owner's equity breaks down changes to equity during the year - showing new capital investments, profit and drawings by the owners (known as "dividends" in a public company). This could be useful info for a potential investor to know. 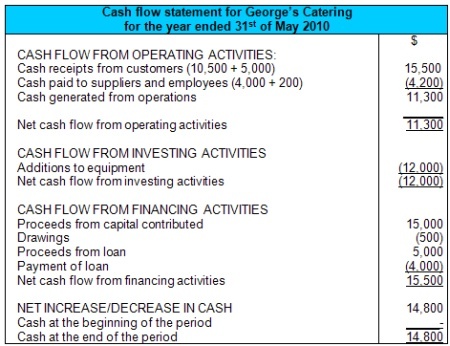 The statement of cash flow shows the flows of cash - into and out of the business - during the year. This is useful because the income statement could show very different figures if the business made a lot of sales on credit, or had a lot of expenses that were still outstanding (not yet paid). The cash flow statement shows cash movements, and this is very important to make sure the business has sufficient cash at all times. The cash flow statement also shows major inflows of cash like loans and major outflows of cash for capital investment (buying non-current assets). Financial statements and their B/S provided here which will of course influence all other investors to take part in such kind of the business industry.